Left Coast! I am so jealous of you right now. SO JEALOUS. And for once it's actually not because I tend to covet the Southern California climate and warm sunshine as the East Coast starts to cool off at this time of year. 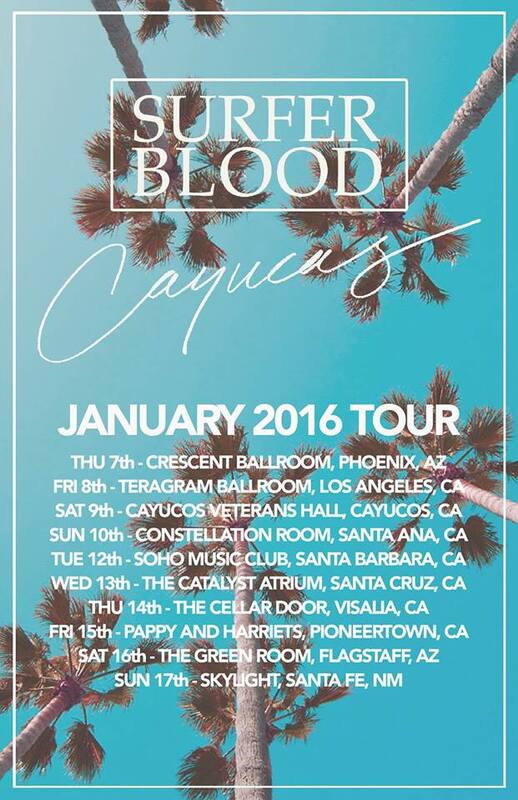 No, this green-eyed monsterness is happening because a run of January Cayucas dates with Surfer Blood is imminent. So Phoenix, LA, Cayucos, Santa Ana, Santa Barbara, Visalia, Pioneertown, Flagstaff, and Santa Fe, y'all better get out there and shake many tailfeathers when the good vibrations of Cayucas roll into town.